Belkin at CES debuted new wireless charging accessories, including the Belkin Boost Up Bold Wireless Charging Pad and the Belkin Boost Up Wireless Charging Stand, both of which are now available for purchase. The Belkin Boost Up Bold Wireless Charging Pad is similar to the existing Belkin Boost Up Charging Pad, but it comes in a variety of colors that include pink, navy, black, and white. It offers up to 10W output for fast charging on all Qi-enabled devices, and it supports the 7.5W charging necessary for fast wireless charging on the iPhone 8, iPhone 8 Plus, and iPhone X. 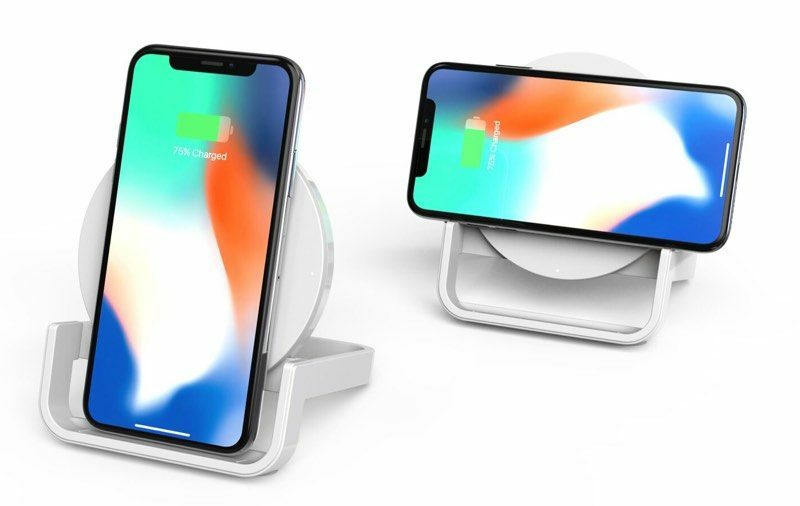 The Belkin Boost Up Wireless Charging Stand features the same circular design and the same colors as the Bold, but it features a frame that holds the iPhone in an upright position allowing the iPhone to be charged in landscape or portrait mode without the need for it to be flat on a table. Like the Charging Pad, the Charging Stand supports the faster 7.5W wireless charging specification for the iPhone. Belkin’s Bold Wireless Charging Pad is priced at $60, while the Wireless Charging Stand is priced at $70. Both can be purchased today from the Belkin website or from Amazon.com (Pad) (Stand). Note: MacRumors is an affiliate partner with Belkin and may receive a small commission when you purchase a Belkin product.